I suppose when it comes to Marks and Spencers clothing, a lot of people still think of it being a bit of a granny brand. Nothing but those gross plastic rain hoods and powder pink cotton coats, with a distinct scent of lavender. But lemmeeeee tell you – M&S is one of my favourite places to shop since around Christmas time. Their beauty hall has a heap of luxury beauty brands (often with great offers on!) including Nuxe, Stila, Philip Kingsley and Pur Minerals. Not to mention their own brand perfumes which smell distinctly like some popular high street scents, without a hint of lavender! 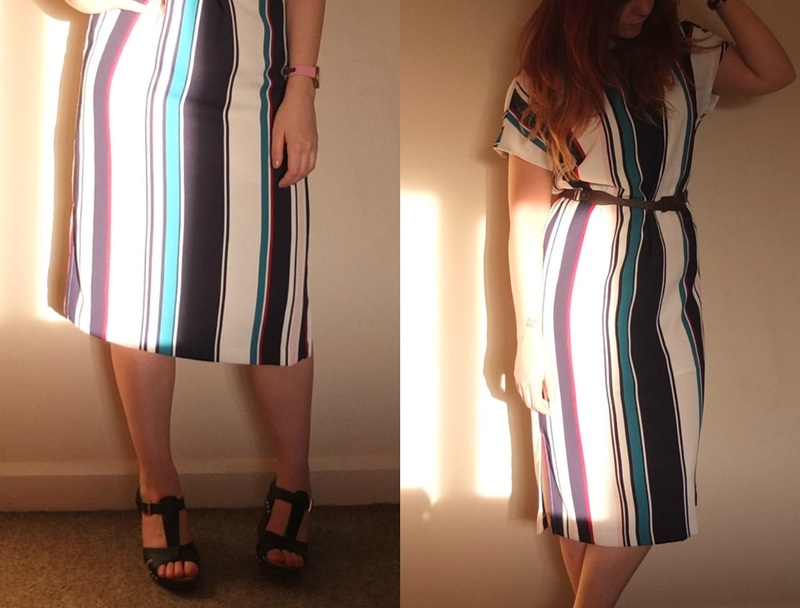 I’ve worn this twice to work now, as the office has been a little bit hot and I love the midi length of it (okay on the website it’s knee length, I’m pretty short you know). It means I still get a nice breeze on my legs whilst not having to worry too much about the fake tan! It’s totally not something I’d usually choose, but I thought it would be a great ‘all round’ dress for most occasions; and it turns out I was right. A few people have asked me where it’s from and when the reply is ‘Marks and Spencers’ they’re pretty surprised – and I don’t blame them! Who’d have thought they’d do such snazzy garments, eh? What do you think of M&S clothing? Would you ever think to shop there for anything but FOOD?